Pre-orders of the brand new Nikon D800 full-frame DSLR have been suspended on some US sites, apparently because the demand is too high. The 36MP camera was only announced on Tuesday, but already the D800 is proving so popular that several key US retailers, including Amazon, have stopped offering the camera up for sale. 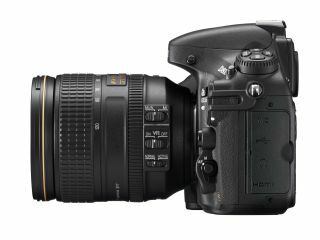 In the UK, there is no listing for the D800 on Amazon, but it is currently still available to pre-order from dedicated camera manufacturers such as Warehouse Express and Park Cameras. A retailer speaking to US website Slashgear said, "The item is in high demand and supplies from the manufacturer are limited. Its availability will fluctuate, and if the item is not currently in stock, we cannot guarantee that will receive additional quantities in a timely manner." This is the second worrying piece of news regarding Nikon cameras of late, after it was revealed that the Nikon D4, its flagship pro model announced in January, will also be delayed. The D800 features a 36 million pixel sensor, making it the world's highest resolution full-frame camera. It's priced at around £2,400, making it around half the asking price of a D4, although it shares many identical features. Stay tuned for more developments on both new DSLRs availability as and when they emerge.